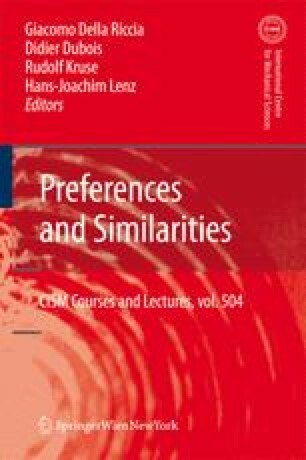 Preferences are ubiquitous in real-life Moreover, preferences can be of many kinds: qualitative, quantitative, conditional, positive or negative, to name a few. Our ultimate goal is to define and study formalisms that can model problems with both constraints and many kind of preferences, possibly defined by several agents, and to develop tools to solve such problems efficiently. In this paper we briefly report on our recent work towards this goal. This paper describes joint work done with the following collegues: K. Apt, S. Bistarelli, C. Domshlak, L. Khatib, J. Lang, P. Morris, R. Morris, M. S. Pini, S. Prestwich, A. Sperduti, K. B. Venable, T. Walsh, and N. Yorke-Smith.